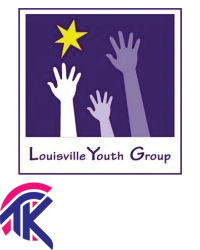 Louisville Youth Group is a safe space for LGBTQIA+ young adults that promotes personal and community growth through relationship building, leadership development, and social justice activism. We are a community of leaders, mentors, and volunteers who accept, affirm and uplift young people regardless of their sexual orientation and gender identity. Our goal is to always grow, learn, and adapt as a way to encourage inclusivity and foster a wide reach of understanding for all.